Silsila Veer brings a twist. Pari meets Ruhaan to seek his help regarding Mishti and Veer’s relation. She tells Ruhaan that Mishti is very much responsible and worked hard for her wedding. She doesn’t want Mishti to suffer in any relation. She tells Ruhaan how much Mishti values relations. She wants Mishti to always stay strong and independent. She doesn’t wish Mishti to have any problems in her life. She gets praising her sister and asks Ruhaan to let Mishti stay perfect in her perfect life. She asks him to just help her in talking to Veer about Mishti. Ruhaan agrees on hearing her emotional talk. They go to meet Veer and defend Mishti. Veer tells them that Mishti came to meet him, but she left until he finished the meeting. He is upset that she didn’t wait for him. Mishti feels why is Veer avoiding her. She thinks if Veer loves her or not, and if she is in love with Veer or not. She shares her dilemma with Sukamini. Veer realizes his mistakes that he has hurt Mishti. Pari makes him vow that he will never hurt Mishti again. She asks Veer to believe Mishti’s love. She tells Veer how much Mishti is working hard to earn money for her wedding arrangements and family. She feels sorry that Mishti is working day and night for the family. Veer learns about Mishti’s stress. Pari tells Veer that misunderstandings grew because of their lack of communication. She tells Veer that Mishti is also upset. She asks Veer to meet her and talk to her to end their differences. Veer tells Ruhaan that he will never end their friendship, even for Mishti’s sake. Ruhaan asks Veer not to overreact on Mishti’s mistake. He tells Veer that Mishti apologized, but he shouldn’t get too emotional for it. He asks Veer not to drag the matter and just end it. He asks Veer to forget everything and move on. Veer is happy and feels lucky that Ruhaan and Pari are there to guide him. Mishti tells Sukamini that she doesn’t want to hurt anyone but she wants to know if her decision about marrying Veer is right. Sukamini gets worried on seeing her pondering over her relation with Veer. She asks Mishti to give some time to Veer. She reminds Mishti that she is Mauli’s daughter and she can never be wrong. She asks Mishti not to think much about Kunal’s deceive. Mishti doesn’t want to become like Kunal and cheat her partner. 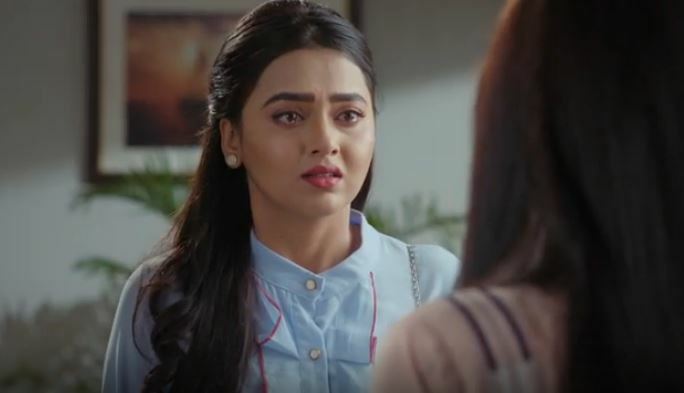 Sukamini finds Mishti in the past trauma again and asks her not to fall weak. She asks her to be strong and keep her commitments. Mishti gets encouraged by Sukamini. Veer meets Mishti and calls off their fight. He tells Mishti that he has no complains with her now since Ruhaan has forgiven her. He promises to never come between Ruhaan and her matters. Veer’s arrival at home brings happiness in the family. He asks Mishti to handover all her company projects to Pari so that she gets free from the work stress.